The Vaquita is the rarest marine mammal in the world; a little porpoise, that wasn’t discovered until 1958. Now, almost 60 years on and they are on the brink of extinction. They are often caught in nets in marine protected areas, within Mexico’s Gulf of California, and drown as a result. Sadly, more than half of the population has been lost in the last three years. The Vaquita is pale grey along its’ sides, dark grey on the dorsal surface (on top), and light grey/ white ventral surface (along the bottom). They have dark rings around the eyes and lips, and a dark thin line from the lips to the pectoral (front, side) fins. Newborns are darker in colour, with pale grey along the dorsal surface and head. 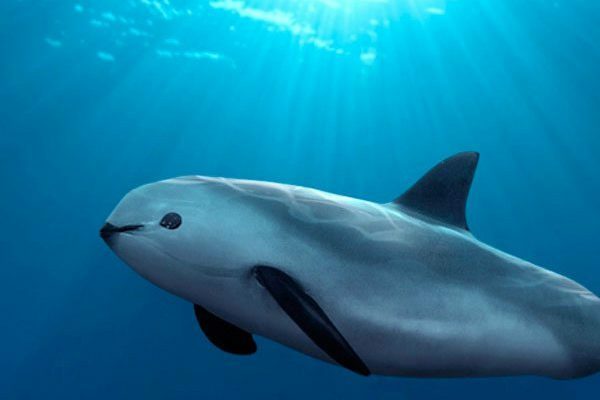 Since the freshwater River Dolphin species, the Baiji, went extinct in 2006 the Vaquita has taken the title of the world’s most endangered cetacean. As of 2016, there is suspected to be less than 30 left in the wild; a drastic drop in numbers since 1997 when there were approximately 600 in the wild. The poaching of the endangered Totoaba fish, for its’ swim bladder – a Chinese delicacy, using gill-nets (fixed fishing nets) is the main cause of the Vaquita’s declining numbers. 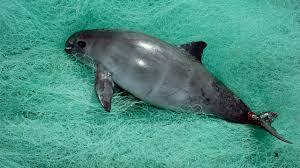 Vaquita’s get caught in gill-nets, and drown, as they cannot get free to get to the surface for air. Gill-nets, though usually put in place for a single species, do not discriminate – many different species get caught, and often die. Whales, dolphins and porpoises all get trapped – some get away with injuries, whilst most die. 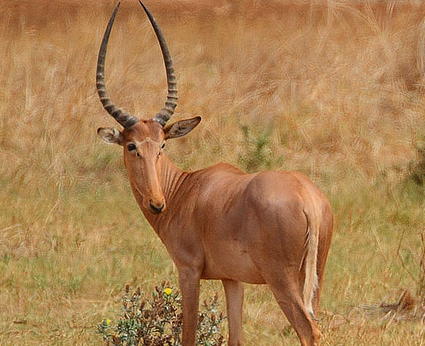 The hirola (Beatragus hunteri) is also known as “Hunter’s Antelope” or “Hunter’s Hartebeest”, and even “four-eyed antelope”. The hirola is the only surviving species of the Beatragus genus; a genus of antelope which there used to contain many different species. If the hirola becomes extinct, it would mean not only the loss of a species, but also of the entire Beatragus genus of antelope. Due to this, the hirola is often referred to as a ‘living fossil’. The species is so rare, that it is classed as critically endangered on the Endangered Species List. The next step down, is extinct in the wild and after that it’s completely extinct. The hirola is a medium sized antelope, weighing (approximately) between 68-115 kg. They are a sandy brown colour, with a paler underside. The species has well developed horns in both genders; which are tall and ridged. As hirola get older their horns accumulate more ridges, and their coat darkens to a slate grey. The hirola have what’s referred to a white ‘spectacles’ – white rings around the eyes , joined by a line across the head. The white facial markings also surround scent glands under the eyes, which is why the hirola is often called the “four-eyed antelope”. Lifespan in the wild is unknown, however the average captive lifespan is ten years. The hirola is now thought to be restricted in distribution to the south-eastern coast of Kenya, south of the Somalian border. It is estimated that the population size is between 600 and 2,000 individuals in the wild; however the actual number is thought to be closer to 600. The main threats to the survival of the hirola today include disease, poaching, predation, competition with domestic livestock, habitat loss, and drought. The species has been legally protected from hunting in Kenya since 1971 and in Somalia since 1977; unfortunately the enforcement of this law is poor and poaching is still a large threat. In my opinion, we as a species (humans) need to protect what animals that still survive on the earth, before following generations are left with none. The number of animal species on the planet has declined majorly over generations; largely due to our selfishness. All images are open source, Google images, or my own.